The Oregon State Legislature is deliberating whether to pass one of the most ambitious proposals addressing housing scarcity and high costs in the country. 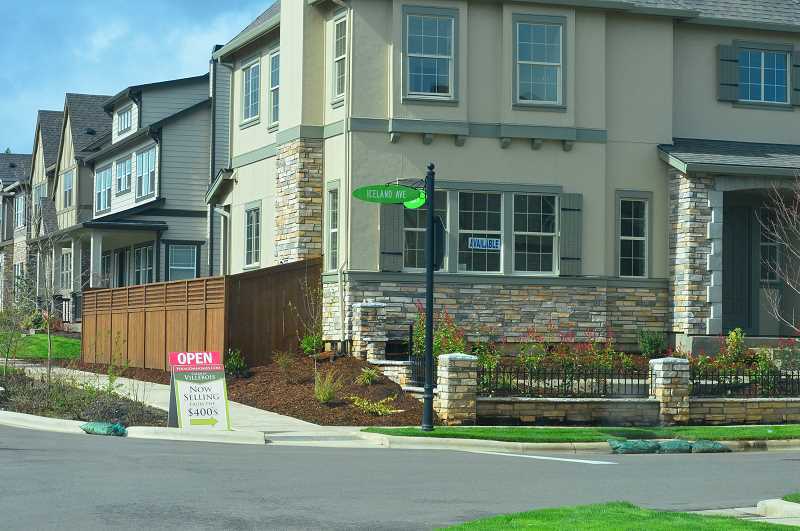 And although the City of Wilsonville acknowledges the need for housing variety and affordability, officials have a number of qualms with the proposal. In turn, the City made its collective viewpoint known during a testimony in front of the House Committee on Human Services and Housing Monday, Feb. 11. House Bill 2001 would stipulate that in cities with a population of over 10,000 residents, like Wilsonville, areas currently zoned exclusively for detached single family residential homes would need to also allow the development of at least one middle housing type — duplexes, triplexes, duplexes or cottage clusters — throughout the zone. The bill is in the committee stage of the legislative process. Oregon would be the first state in the country to outlaw exclusive single family zoning in big cities, though the City of Minneapolis did so last year. "Re-legalizing 'missing middle' housing choices in residential areas where they are currently banned will provide a wider variety of housing types and will make it easier for individuals and families to afford living in high opportunity areas," said bill chief sponsor and Oregon House Speaker Tina Kotek in a written testimony. 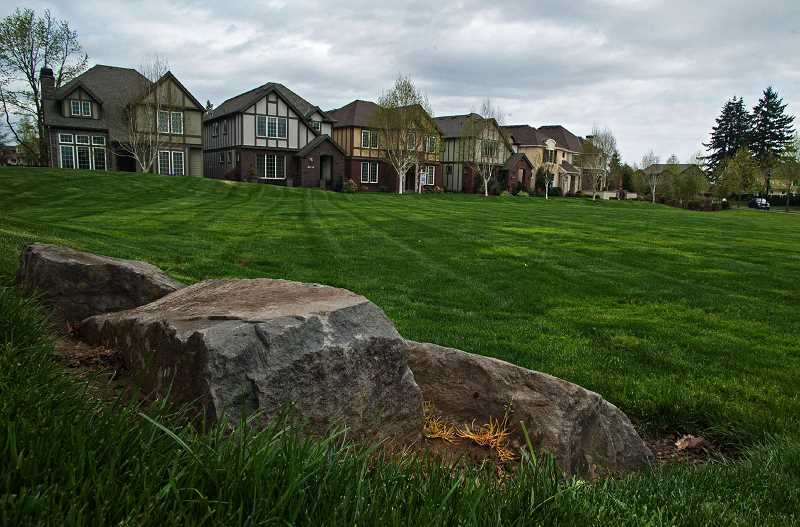 Among Wilsonville's concerns, the bill would require cities to tweak existing neighborhood codes so that they adhere to the new policies rather than applying them only to new neighborhoods. Mayor Tim Knapp told the Spokesman he is concerned that cities would struggle to provide adequate infrastructure such as water, sewer, roads and other public facilities to account for denser populations in some existing neighborhoods. "All those things have to be thought out ahead and when you are creating a new neighborhood you can scale all of those things to the needs of the new neighborhood," Knapp said. "When you go back to an existing neighborhood and say all of the sudden it's not going to be single family ... the question from a pragmatic standpoint: Are all those infrastructure services adequate to double, triple or quadruple the load on the systems?" Instead, the City would prefer a bill stipulating that a percentage of all city land provide middle housing or that new neighborhoods would need to have a certain percentage of middle housing. "Each neighborhood is different and in some neighborhoods we have geographic barriers to cross and our geography can inhibit us to providing infrastructure at the same cost efficiency that it would somewhere else," Wilsonville Planning Manager Miranda Batechell said during the public hearing. These policies would give the City more control of the planning process than House Bill 2001. "HB 2001 raised important issues of state preemption of local authority and state-imposed unfunded mandates that are components of (the) Legislative Agenda," Bateschell said in an email. For years, Wilsonville citizens have lamented the increased traffic in the city, which is exacerbated by a rising population and congestion on I-5, among other explanations. And Knapp surmised that the bill would lead to even more congestion. However, Kotek wrote that the bill likely wouldn't usher in an excessive proliferation of middle housing and pointed to the City of Portland's push to allow more multi-unit housing as proof. "Allowing more housing options does not mean that every eligible lot will have four homes on it. The City of Portland has allowed duplexes on corner lots since the early 1990s, and less than five percent of eligible lots have a duplex on them today," she wrote. "If enacted, this bill would create a foundation for the diverse array of housing options we are missing in too many communities." Wilsonville also pointed out that it already has a large supply of middle housing. Overall, as the City stated in the testimony, 52 percent of Wilsonville's housing supply is categorized as multi-family residential and areas like Villebois and Charbonneau have an especially diverse assortment of housing options. Still, Knapp said he's heard that middle-income Wilsonville residents, such as teachers and service industry workers, often struggle to afford to live in Wilsonville. "Our community is not as rich as it could be at embracing those different people and the benefits they bring to the community," he said. "I think we have to be flexible at the local level and think about how pieces go together and whether there are development rules that tend to inhibit bringing various types of housing to the market." The City also objected to the bill's requirement preventing cities from forcing developers to pay system development charges prior to the issuance of an occupancy permit. The City views the occupancy permit as necessary leverage to make sure developers pay the fee. Wilsonville also wanted row houses, a cluster of multistory units with similar design, to be included in the bill's examples of middle housing. "History has shown that it's sometimes very difficult to collect money later on in the process and that makes the City cautious about delaying the collection of SDC funds," Knapp said. All in all, the City of Wilsonville and the proponents of House Bill 2001 might agree about the value of housing choice and affordability — but they disagree on the method for bringing it about. "Affordable housing issues are important to the City as they are for the State Legislature. It is important to be engaged in the legislative process (and) to have influence on the outcome and be sure that it can work at the local level," Bateschell said in an email.